Public transport is available in abundance for daily commutation. However the management has provided adequate transport facilities to students as well as to staff to come to college from far off places. 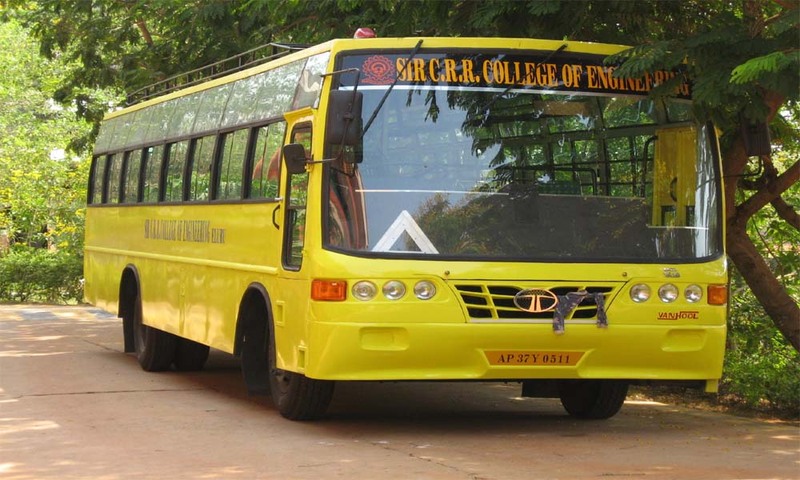 Buses ply regularly from places like Vijayawada and also from local points of Eluru. Transport facility is extended to the student community to go on Local Tours, attending Off-Campus Recruitment Drives, Industrial Tours etc. Management has provided three buses for these activities. One car is provided for the Principal.